The story surrounding Manchester United is getting more and more engaging by the minute. The club that once ruled Europe with an iron fist has degraded drastically to the point where the situation seems almost laughable. The Red Devils are in the news for all the wrong reasons, and club officials seem confused with regards to how to take the historic club in the right direction. Manager Jose Mourinho has come under fire after a string of poor performances, including three defeats in the Premier League, which see the English giants languishing in tenth place in the table. Add to that a Carabao Cup defeat at the hands of Derby County and a below-par 0-0 draw against Valencia on Tuesday night, and there are more than just a few worrying signs. On top of this, rumours of a dressing room mutiny led by Paul Pogba are stronger than ever, indicating that change could be in the offing in England’s North-West. 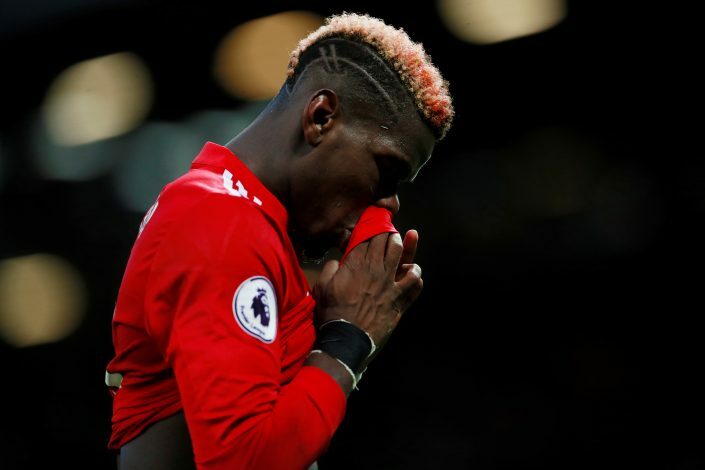 The aforementioned Pogba has been openly critical of his team’s style of play at home as well as his manager’s negative tactics, resulting in the Frenchman being stripped of his vice-captaincy by Mourinho, and as we now know, even being gagged from media interviews. Following a bunch of incendiary remarks against the club, Pogba has been officially warned by club officials not to talk to the media, as the France International mentioned himself following the Valencia game at home. “I’ve been told I’m not allowed,” Pogba said in the mixed zone to reporters when asked to comment about the scenario the club finds itself in. Pogba gave the first hint of such a bar from media interviews after the defeat against West Ham United at the London Stadium, when he simply responded with “You want me dead?”, when asked a similar question by reporters. The ban is a sign that his antics haven’t had the right impact on the powers-that-be at Manchester United, and that he might be skating on thin ice if he continues to be so openly critical.